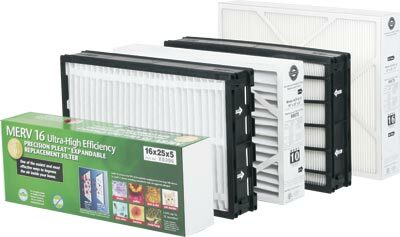 Call our office at 905.707.1299 to order your genuine replacement filters. *MERV = Minimum Efficiency Reporting Value. Describes the filter's ability to capture particles and ranges from 1 to 16. Typical fiberglass filter = MERV 1. The higher the MERV rating, the better the filtration.